You can check out some of our recent weddings, portraits, and travels there. Therefore, this blog site will no longer be updated. See you at www.richbell.com soon! This mommy is a black belt in Tae Kwon Do, and even teaches classes. He’ll be coming to the local dojo kicking beside his mommy late this September. Bret & Leah’s HAWAII wedding! 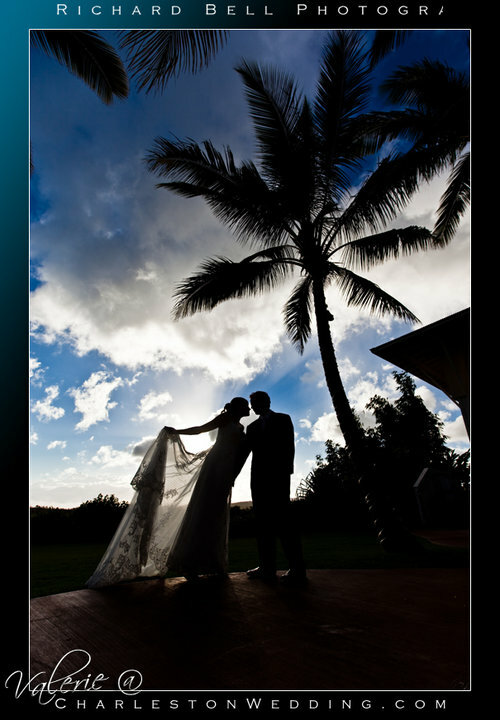 What an AMAZING time I (Valerie) had in Kauai, Hawaii shooting Bret & Leah’s wedding!!!! I had never been to Hawaii before this so I never knew how much I was missing out on! The place is absolute paradise! Everything! The mountains, the plants, the trees, the clear blue water, the reef…..over water and under water! And with that, Leah, Bret & I did portraits ALL OVER Kauai, so I’m super super thrilled to give them truly amazing pics to choose from! The suspense to show these off is already killing me, haha! But….I have agreed with the couple to keep these pics TOP SECRET until their big celebration party in Tennessee at the end of August. So, until then I will keep YOU in suspense! However, here’s one image to tide over (or add to?) your curiosity! Holly and Mike were up for anything for their engagement shoot walk down Calhoun St. We found some great spots over by Gailliard Auditorium. This is the last day, and there are only a few slots left! We have openings from 1pm until 6pm. This is your last chance to get a $40 session with 40% off all prints & enlargements! To book your session, call us at (843) 767-6888. We are now booking $40 sessions (no that’s not a typeo!) for July 8-11th…..and 40% off our price list for prints until the end of July. 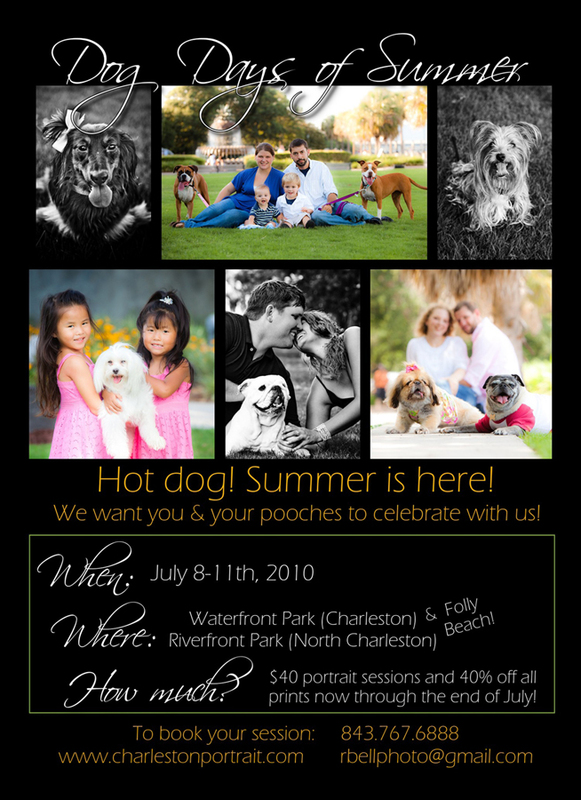 The goal of this summer series is to not only get fabulous photos of your dog, but to also celebrate that special relationship you have with them! Does your dog have a favorite toy? Bring it! You know you want in on the fun! Call the studio to schedule your session asap! We can’t wait to meet your furry loved ones!